The regular "Stars of British Jazz" line-up can be augmented as required for your event. 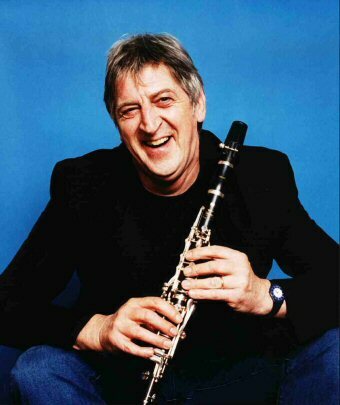 Born in Elgin, Scotland and started playing clarinet at school in Oxford, before attending Art College in Cambridge. 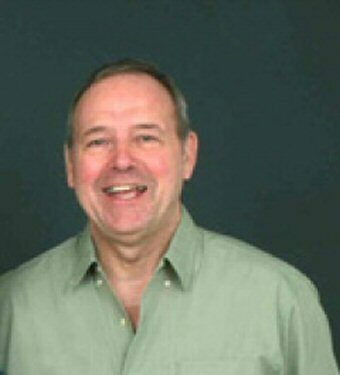 Andy turned professional in 1963 with the London City Stompers and later joined the Charlie Galbraith All Stars and the Allan Elsdon Band with whom he was proud to tour with his idol, Edmund Hall. Andy has been an important member of the Kenny Ball Band since 1967 and is very much recognised by his vocalisation on 'I Wanna Be Like You' from the film 'Jungle Book'. Since 1996 he has also been running his own band, Euro top 8, successfully touring Europe and the UK. A South Londoner, having lived in Kent for most of his life, Tony has now settled north of the river in Hertfordshire. Both Tony and his brother Vic, were originally inspired by their banjo playing father and were naturally lured into the 1950's Traditional Jazz scene. 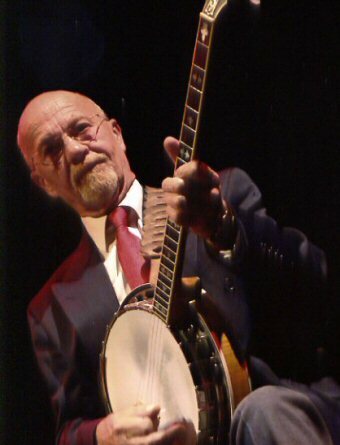 Tony has been a well respected guitar and banjo player for many years and his unique guitar technique enables him to encompass many styles of jazz and blues. 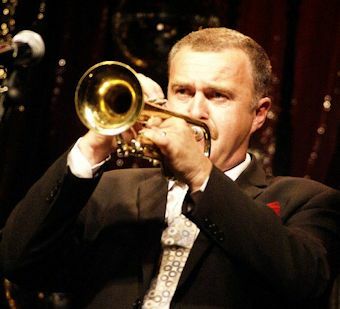 He has been a member of many leading British jazz bands including the great 'Alex Welsh Band', several years with the world acclaimed 'Acker Bilk and his Paramount Jazz Band' and several shorter stints with the internationally renowned 'Kenny ball and his Jazzmen'. Apart from his guitar and banjo playing skills, Tony is also an accomplished craftsman and has made and repaired many fine stringed instruments. John, originally from Felsted in Essex, became interested in playing the guitar in the 1950’s. Although conversant with many styles of music, he became influenced in jazz guitar during these early years by the family friend and father of the British traditional jazz piano, George Webb. John spent many years during the sixties touring the world, working for P&O and playing on board some of the big cruise liners, such as the original ‘Oriana’. In 1979, John was asked to be a regular member of Kenny Ball and his Jazzmen, but in 1984, when in Moscow - at midnight he decided that ‘that was enough’ and went home on the next plane. Nevertheless, in 1988 he returned to the fold for another stint of about 8 years. John has lived in the ‘Southern Uplands’ since 1987 and is now a well-known musician on the Scottish jazz scene. Maggie Reeday has had a long and varied career, beginning as a resident singer in a local West Country band. She has appeared in a succession of ITV shows and many Jazz Festivals throughout Europe. 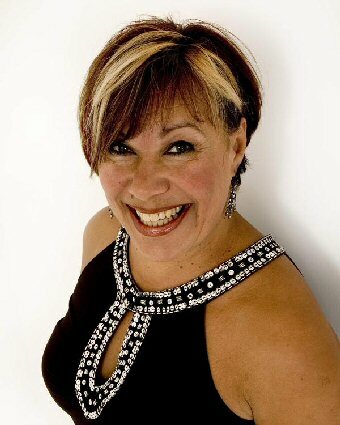 Maggie is a highly respected vocalist, and has sung with some of our top British jazz musicians including:- Tony Marshall, Spike Heatley, Bruce Adams, Craig Milverton and Digby Fairweather. She has also performed with American saxophonist, Scott Hamilton. Her CD, “World on a String”, has received rave reviews - quote: Ms. Reeday has all the ingredients that a jazz singer requires - good intonation, a powerful voice with plenty in reserve if necessary. This CD is well worth the price and a copy should be in your rack alongside ‘’Billie Holliday and Ella” (Jazz Journal International). Maggie maintains, that the highlight of her career, was a royal command performance at the London Palladium, attended by HM the Queen Mother. Although born in Nottingham, John spent part of his early years living in Sawley and attended Derby Art School for a couple of years before his family returned to Nottingham. In the mid- fifties he became interested in jazz and started to play the clarinet when a group of friends decided to form a jazz band. During a two year stint with the RAF in Cyprus, his ability developed and demob saw him involved in the semi-professional jazz scene in the Notts., Derby area. John was resident for sometime at the Corporation Hotel in Derby Cattle Market with the 'Trevor Jones Jazzmen'. With this band he frequently visited London and was subsequently asked to join 'Len Baldwins Dauphin St. Six' who had recently turned professional. Tours of Germany and Denmark soon followed leading to an offer to join the 'Mike Cotton Jazzmen'. When the 'Trad' bubble burst, Mike gradually transformed his band and moved into the field of R&B and soul, which allowed John to develop his alto and tenor playing. A desire to return to jazz saw John accept an offer to join the world famous 'Chris Barber Band'. During his 34 years with Chris, he has travelled the world and played with a list of guest artistes that reads like a ‘Who's Who’ of jazz and blues. Simon began cornet playing with his village brass band, but quickly became a fan of the jazz music which was played all the time at home. Simon joined a youth band, "Jazza" lead by artist and bassist Gill Alexander, which went on to win a first prize for junior ensembles in the Daily Telegraph Young Jazz Awards. The prize included tuition at the Royal Northern College of Music (brass teacher Digby Fairweather) and an appearance in the Junior Proms at the Royal Albert Hall. Simon continued his jazz studies with cornetist and bass player Gerry Salisbury (Alex Welsh, Freddy Randall, Diz Disley). On a family trip to New Orleans, Simon was lucky enough to have lessons with trumpeter Wendell Brunious which had been arranged via Pat Halcox of the Chris Barber Band. After finishing college, Simon has done a lot of work with function and blues bands (Scratch the Cat and Lucas) as well as running his own bands. His latest band, DixieMix, a traditional 6 piece Dixieland outfit, has been the most successful yet and was where he met Mr John Benson. Influences: Louis Armstrong, Bix Beiderbeck, Clifford Brown, Gerry Salisbury, Wendell Brunious and hundreds more. Born January 1955 in Bury Lancashire, Mike played Cornet in local brass bands, before gaining recognition for his talents at the age of 9. At the age of 11 he studied at the Junior Royal College of Music in Manchester. This was followed by a Scholarship to Chetham’s School Of Music in Manchester. At 18 he gained a place at the Guildhall School Of Music in London, finishing in 1997. Further experience in freelance work eventually led to a job with the Pasadena Roof Orchestra in 1978 with whom he played for the next 12 years. Mike has also played with the following groups over the years - Cotton Club Orchestra, Cotton Club Band (Keith Nichols), The Grahamaphones, Red Hot and Blue Orchestra, Echoes Of Ellington Orchestra, The Charleston Chasers, Harry Stutters Hot Rhythm Orchestra, Glen Miller (UK) Orchestra, Bob Hunt Ellington Orchestra, Memphis Belle Swing Orchestra, Midnite Follies Orchestra, Squadronaires Orchestra, Ray Gelato’s Giants, Blue Harlem, Sugar Ray Ford Orchestra, John Altman Orchestra, The Brasshoppers, Keith Nichols Blue Devils, Joan Viskant Quintet and Bryan Ferry on his tour of Europe with a Jazz/Roxy Music Show. The Guinness Jazz Band - 21 appearances at the Cork Jazz Festival and lots of tours to Scandinavia, Ireland, Germany and England. Acker Bilk Paramount Jazz Band - Guest Concerts in England and Ireland. Kenny Ball and his Jazzmen - Guest concerts in the UK and Europe. The Big Chris Barber Band - full time with Chris since 2001, Touring Europe and the UK. Gary started playing cornet at the age of 8 with his local brass band, however it wasn't until he left school that he took a real interest in music. 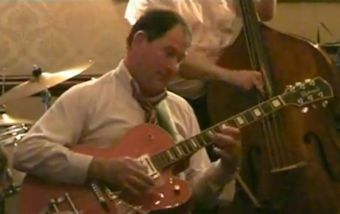 He quickly developed a taste for jazz and swing music, joining his first band in October 1986. Soon Gary was performing with many local bands and by 1990 was appearing at festivals in the UK and Europe. He now works as a freelance musician with bands in a variety of Jazz and swing styles and has performed along side many top musicians. 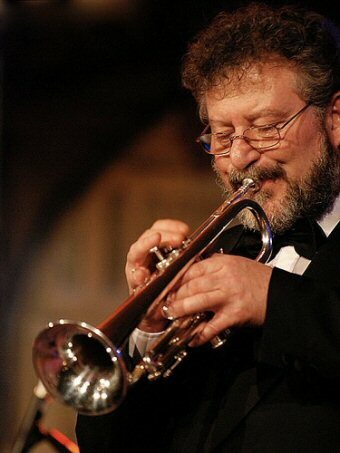 Gary started his own quartet in early 2004 to feature his smooth vocals and his Chet Baker inspired trumpet. Gary has his own website - Jazz Experience. 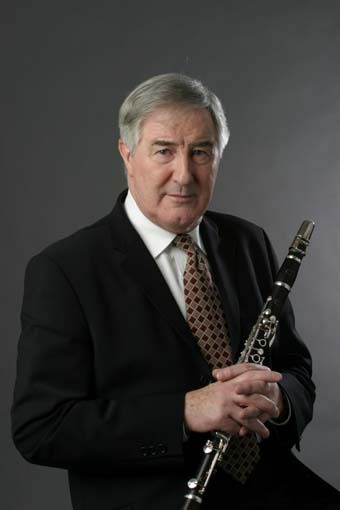 Ben Cummings is one of the UK's most versatile soloists, having worked and recorded in almost every genre, with some of the biggest names in the country. 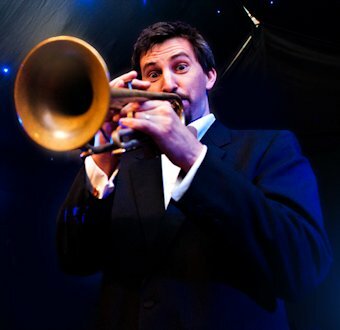 He is one of the most exciting trumpeters of the jazz circuit, with a wealth of experience, having played with the Humphrey Lyttelton Band, Pasadena Roof Orchestra, Kenny Ball and his Jazzmen, The Piccadilly Dance Orchestra, Keith Nicholls' Blue Devils and the Tearaway Brass Volcanoes. Ben Also runs his own quartet and quintet, Big Beat, featuring Craig Milverton. Recent projects include recreating the Gerry Mulligan Quartet's fantastic recordings. His playing combines the power and swing of Roy Eldridge with the lyricism of Chet Baker and Bix. In addition, his smooth vocal style captivates audiences all around the country. Ted is one of the finest pianists that Britain has to offer. As well as being a great band player, Ted is equally at home performing as an innovative soloist or providing an excellent accompaniment for any vocalist. He is currently a member of the outstanding Humphrey Lyttelton Band but has also played alongside many fine soloists; Spike Robinson, Al Cohn, Don Rendell to name but a few. Born in Basingstoke during the war years, he now lives on the outskirts of Harlow, Essex, and although he has performed world-wide, he manages to maintain his superb musicianship around Britain and on the London jazz scene. 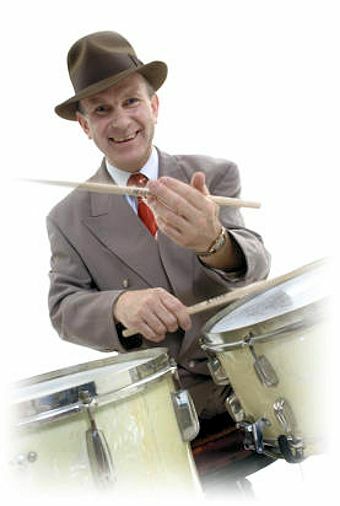 Band leader of the successful 1940`s style band 'Sticky Wicket Swing Orchestra' since 1999 which has regularly appeared at Festivals, Hanger Dances, Theatres, 1940`s style Functions and Events as well as trips to Holland and China, plus radio and TV appearances. The band is now a top attraction on the British Swing Dance Scene, leading to Sticky being hailed `The UK`s No. 1 Swing Drummer`. Also in recent years Sticky has been organising, writing and performing the stage shows `Jitterbug Joe` with The Jiving Lindy Hoppers and the currently running `We Got Rhythm` with BBC TV`s John Bly, Garry Allcock, James `boogie blues` Bly and The Attic Cats Lindy Hop Dance Group. Sticky`s first break came with The Russ Ballard Band which toured the UK, Europe and the USA . They alsoperformed on the legendary BBC TV live music program `The Old Grey Whistle Test`, presented by Bob Harris and recorded on the Epic Record label. Next came Street Band with singer Paul Young (later to become the 1980`s pop star going solo after `Toast` which was a minor hit for Streetband). Sticky turned back to jazz in the late 70`s after the arrival of `Punk Music` and toured European Jazz Festivals and venues in Europe with The extremely popular Sammy Rimmington Quartet. Returning to Rock in the 80`s Sticky joined The Steve Gibbons Band,the Birmingham based Hit Rock`n Rollband, which took him back to recording ( RCA Records),tours and TV work in UK the UK and Europe including Live At Rockpalast DVD released this year from a 1981 German TV recording. Steve Marriott (ex-Small Faces singer guitarist) asked him to join his band with Simon Hickling and the DT`S and subsequently Steve`s final line up of 'A Packet of Three'. The legendary British Jazzman, Chris Barber then got intouch and Sticky joined his Jazz and Blues Band with whom he stayed (in two stints) for a total of five years but has maintained a musical collaboration since those days of the early 90`s. With Chris he made several CD`s, toured Europe extensively with many Radio and TV appearances. Other sessions and live appearances followed with some as a direct result of working with Chris, like -Van Morrison Paul Jones, Rory Gallagher, Lonnie Donegan Zoot Money Kenny Ball and Acker Bilk.